FG Auto is a distributor of auto accessories, auto parts, motor oils, batteries and filters. It works with the biggest companies on the international market and thereby offers some of the best prices for such high quality products. We have developed an online store on one of the most populate platforms for e-commerce – OpenCart. 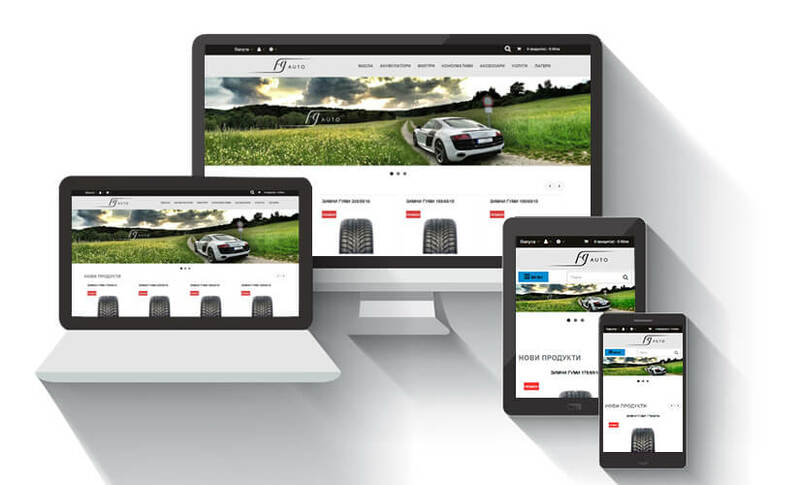 Moreover, the design we used is based Lexus Market – created specifically for online stores for cars and auto parts. The store is consistent with the needs and requirements of the company and its customers. We’ve created a web space with convenient and intuitive user interface, easy navigation and dynamic pages. Why did we choose OpenCart? The platform has a very good modular structure and provides a wide range of possibilities. Moreover, it allows retailers to manage their online store easily and independently by an administrative panel with user profiles and different levels of access. It allows the creation of custom prices for clients depending on the products and or the percentage discount category. The website is accessible through any mobile and desktop devices because of its responsive design. Since FG Auto offers wide selection of products, we have created filters to facilitate customers in their choice. And with the quick checkout ordering is just a few clicks away. It also helps that there is a possibility of making an order like a guest, without registration, as well as making a payment with leva or euro. The online store has a free chat client (Zopim Chat) through which customers can real-time query to the administrator. Contemporary graphic design with the appropriate design for an online store, including slider and a special panel for current promotions. If you like our work and would like to use our services, do not hesitate and contact us right now.